Thanks for hanging in there during my blog absence y'all.. It's been quite the emotional week over here for all of us! I honestly don't know how working mamas do it, I'm going through withdrawals not having my little buddy by my side all day. Since I've been a hot mess about the whole thing, I've been distracting myself with planning his little outfits in advance and labeling things. You know, type A mom things. When we toured Rowan's daycare we were told that there was another little baby in his class with the same name. I was surprised because Rowan isn't a common name, which is one of the reasons we picked it. I figured it could eventually get a little confusing for the babies but they would get used to it. Then I found out its a girl. While that's one less name for his teacher to remember, it does complicate the bottle situation in the mini fridge. And basically everywhere else that the babies things are stored. 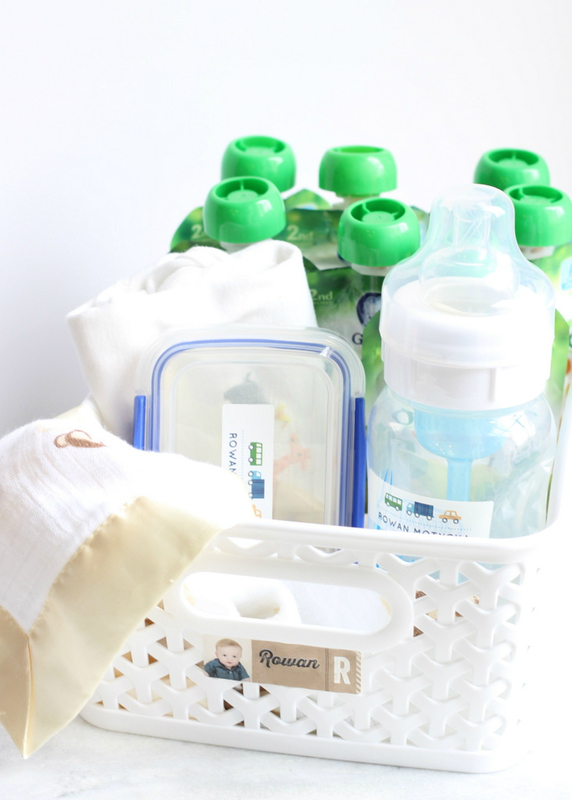 So I started searching for something that could distinguish my babe's bottle, food containers (for the days I remember homemade purees), and other baby things. 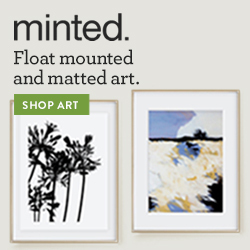 Enter: Minted's new name labels. Wheeler Label. Monogram Tag Label. There are so many cute designs (all designed by independent artists around the country - fun fact!) and even though I would typically look for something gender neutral, this was not the time or place. Give me all the baby boy things. Trucks? Yep. Manly? Definitely. 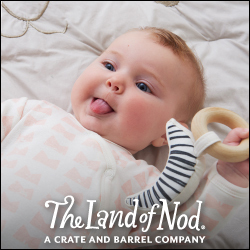 Can I add my kid's cute face to them? Absolutely. I went with the Wheeler Label and the Monogram Tag Label and they are so.freaking.adorable. Side note: I also love this Christmas card by one of the label designers... totally not planning ahead or anything. ha! Anyway. I admit I was skeptical that they could be waterproof so I put them to the test. I let his bottle sit in soapy water for a few hours (admittedly I forgot about it... mom of the year), ran them through the dishwasher, and sterilized them. The labels didn't budge! I even cut out the R from one label and put it on his paci. Still there! Touché, Minted. I totally going to be that mom that labels his pencil box (do kids use those anymore?!) and all of his sports equipment. He's going to love it. Linking up with Natalie and Annie! 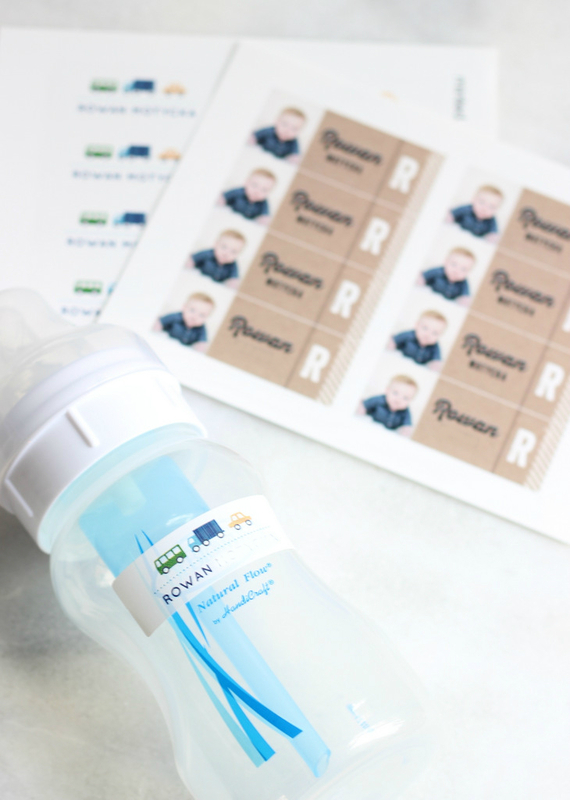 I was provided Minted's custom name labels for the purposes of this review. As always, all thoughts and opinions are my own! For our privacy, our last name on the labels has been blurred out with my amateur editing skills. These are genius! There are so many great things they could be used for…and waterproof? Yes, please! His little picture is just the cutest. These are super cute, and I can't believe they are water proof - so cool!! These are SO cute!! Remembering these for the future! These are adorable - I love his little face on them! Thinking of you this week, mama! Hope the transition is going smoothly! I love those labels!!!! I have labels for Cam but not Louise yet...I love having their picture on there! Such cute labels! My mom labelled all of my things growing up, and I still have some of them many, many years later! These labels are too cute! I can't believe that their is another little one in his class with the same name - what a coincidence. What a fabulously cute idea!!!! The labels are so adorable!! 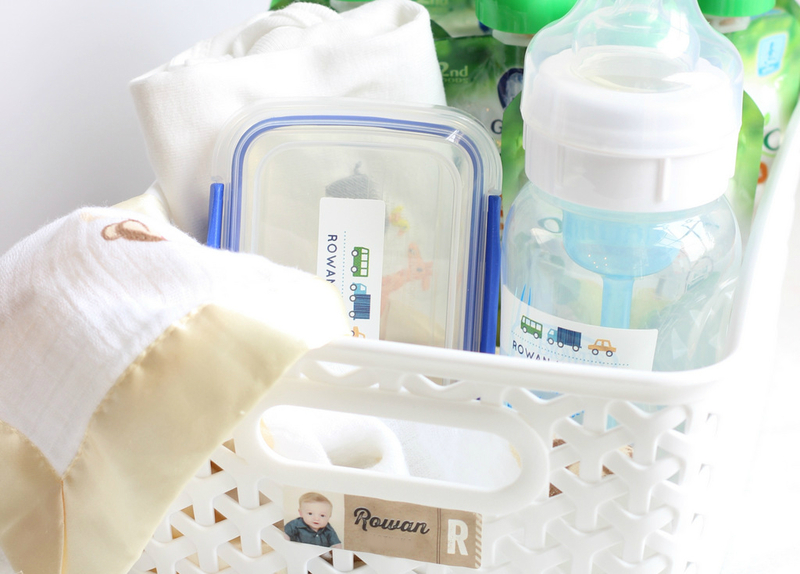 These labels are the cutest and such a good idea! 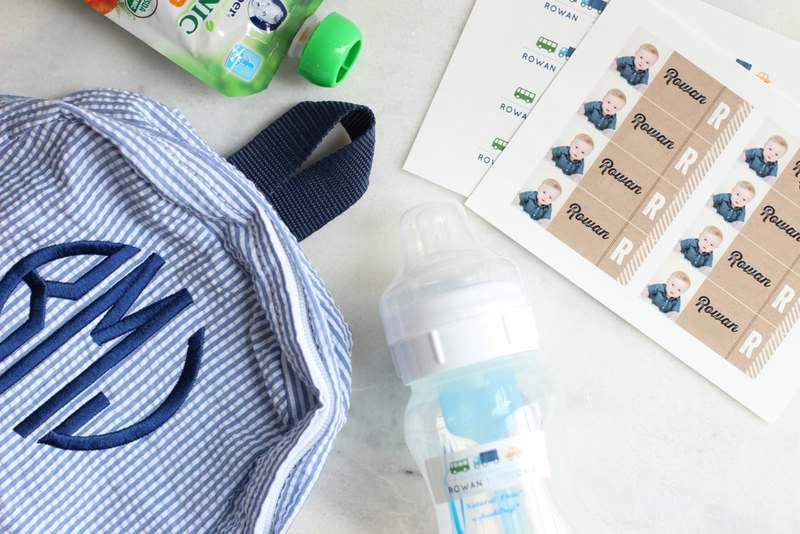 I love his adorable little backpack - seersucker and monogram, what more do you need?! These are brilliant! Perfect for school and lunch box gear! I hope your first week back went well mama! Hugs! Love this and can I do this even though P only goes to grandmas's?